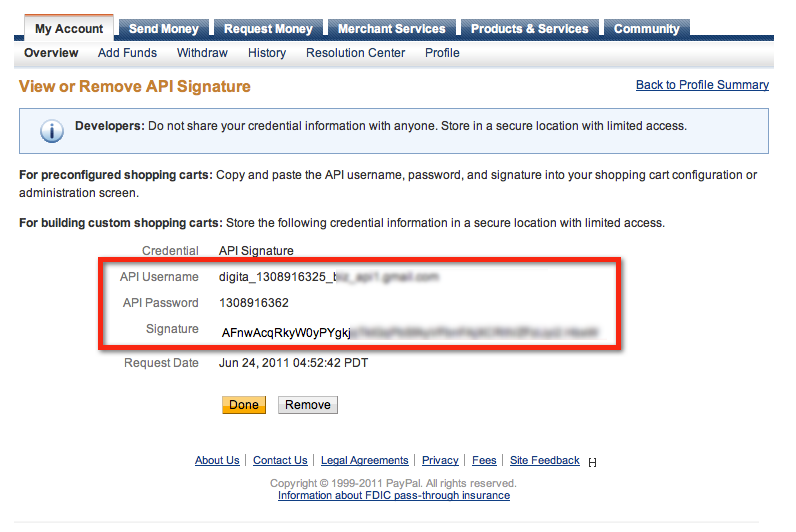 Once you have set up your PayPal Business account for Digital Goods, you can request your PayPal API credentials. 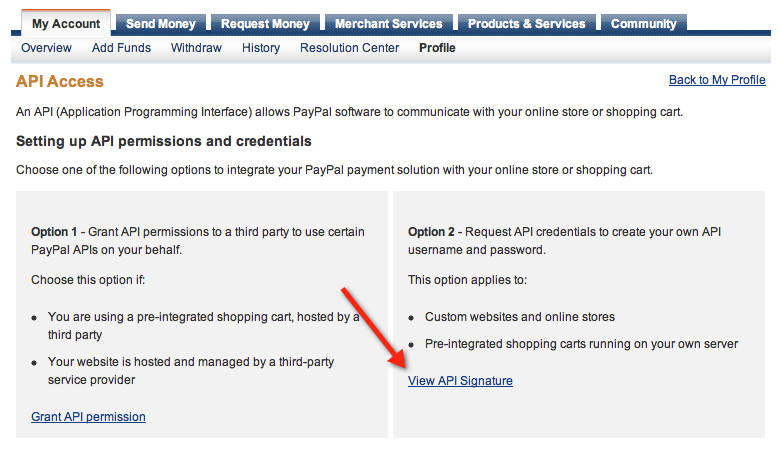 This tutorial illustrates how to obtain your PayPal API Credentials. 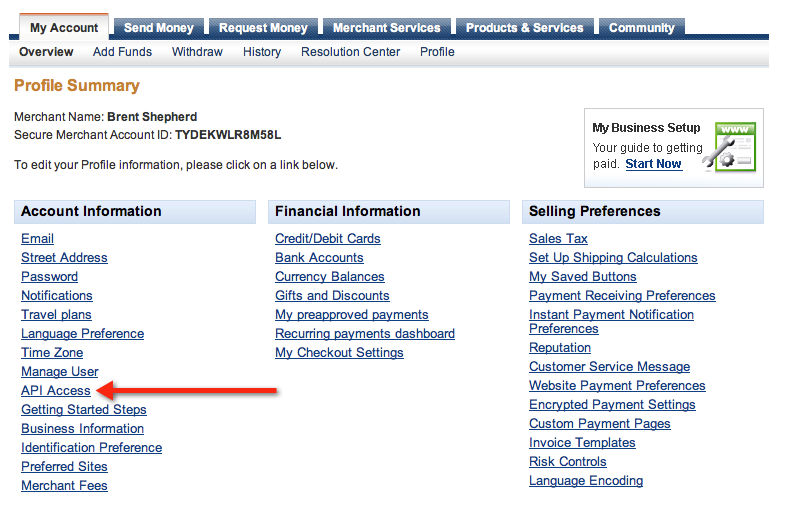 When logged into your PayPal Business or Sandbox Account, follow these 4 steps to access your API Username, Password & Signature. This entry was posted in Configure PayPal, Documentation and tagged Digital Goods, Express Checkout, PayPal, PayPal API by Brent. Bookmark the permalink.